Just when you thought white supremacist and ‘Unite the Right’ leader Jason Kessler couldn’t sink any lower, he exceeds all expectations. 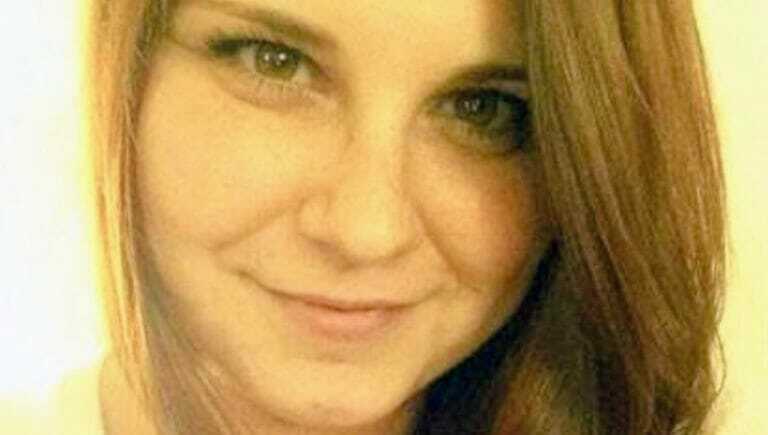 The disgraced former Obama and Occupy Movement supporter turned raging racist, took to Twitter late Friday night to tweet the most vile insult one could think of about Charlottesville victim Heather Heyer. “Heather Heyer was a fat, disgusting Communist. Communists have killed 94 million. Looks like it was payback time,” tweeted Kessler. Police say Heyer was killed when a rally attendee, James A. Fields, 20, drove his sports car into a crowd of counter-protesters at the event Aug. 12, which drew white nationalists, neo-Nazis and other far-right figures from around the nation. Fields has been charged with her murder. Kessler had blamed city officials for not providing sufficient security for the rally, which originally was organized to protest the removal of a statue of Confederate Gen. Robert E. Lee from a Charlottesville park. Kessler’s tweet sparked denunciations from other far-right rally attendees, who quickly distanced themselves, accelerating a spiral of recriminations that have been brewing among far-right leaders over who was to blame for the chaos behind last weekend’s violent “Unite the Right” rally. On Saturday morning, the tweet had been deleted from Kessler’s account, which initially claimed he’d been hacked but then backtracked and said he’d been on a mixture of drugs. Kessler’s grammar was sure on point for someone high on drugs. Amid manufactured faux hysteria by the mainstream media over President Trump’s response to the racist Charlottesville attack, the Kurious Kase of Jason Kessler grows more interesting. As The Gateway Pundit previous reported, the ‘Unite the Right’ organizer was once an ardent Obama supporter and Occupy movement activist. The Daily Progress reports Kessler broke up with a woman of “Jewish heritage” because she wasn’t liberal enough. In an interview last month, one of Kessler’s childhood friends, David Caron, said Kessler previously had identified as a Democrat, but became disillusioned when he started thinking that there was no place for him in a party that has focused its efforts on embracing diversity and minority issues. He said the two of them had started supporting Trump last summer and attended one of his rallies in Richmond. Laura Kleiner, a Democratic activist who lives in Staunton, said she dated Kessler for several months in 2013. She said Kessler was very dedicated to his liberal principles, and that he was a strict vegetarian, abstained from alcohol and drugs, embraced friends of different ethnicities and was an atheist. Kleiner said Kessler was well aware that she was of Jewish heritage, and that he showed no signs of being anti-Semitic. She also said he had a roommate for several years who was an African immigrant. In an interview earlier this week, one of Kessler’s neighbors, Zoe Wheeler, said she knew of two different African roommates who lived with him, and never thought Kessler was a racist, even after he started to make waves in the local news late last year.